A new Minister’s Specification SA Upgrading health and safety in existing buildings which reduces the building performance standards from 79 under the National Construction Code to 24 across the State. An amendment to the Development Regulations 2008 which removes the requirement for planning consent for internal building work, including demolition, in the City of Adelaide (with the exception of heritage buildings). This is consistent with the rest of the State. A case management service to assist eligible applicants through the development approval process. The regulatory amendments were announced in the Government Gazette issue 64/2017 (pages 4059 and 4112-4114). Advisory Notice 02/17 was issued in relation to upgrading access and facilities for people with a disability. This notice replaces Advisory Notice 07/12. For more information about the incentives and regulatory changes visit the SA Planning Portal. On 6 September 2017, the Senate Inquiry into non-conforming building products released its interim report on aluminium composite cladding. The interim report can be viewed on the Senate Inquiry website. On 21 September 2017, the Senior Officers Group (SOG) established by the Building Ministers Forum (BMF) to investigate and develop a national strategic response to issues of non-conforming building products, finalised its Implementation Plan. The plan will inform the building industry and the Australian community about the ongoing work of the SOG and the actions delivered to date. For more information about the BMF and the SOG visit the Department of Industry, Innovation and Science website. NATSPEC has developed a National Construction Product Register (NCPR) with the first stage becoming live on 1 September 2017. The development of the register involved detailed checking of the evidence of conformity and included researching and validating the party that issued the test certificate/product certification. The aim of the NCPR is to help the industry mitigate risk in a cost effective way and increase awareness and understanding of the importance of conformity. 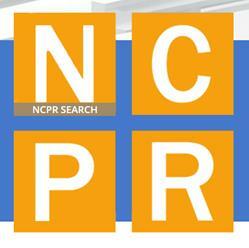 NATSPEC issued a Media Release announcing the NCPR. Further information is also available on the NATSPEC website. As a result of concerns with the use of alumnium composite panels on high-rise buildings, some professional indemnity insurance providers (and underwriters) have introduced ACP based exclusions to their policies. The exclusions relate to the assessment of developments that specify the use of aluminium composite panels and means that individuals may potentially not be adequately insured when they approve their use. The Registration Authority urges all individuals holding a professional indemnity insurance policy to review the content of their policy, not just the schedule, to avoid being negatively impacted. Given the exclusions being placed on new and renewed policies, the Registration Authority will be asking for the full insurance policy wording and where necessary, applying conditions of registration that reflect the limitations imposed by the insurance policy. a number of initiatives linked to the National Energy Productivity Plan including quantified performance requirements, simplified DTS provisions and consideration of alternative rating systems such as NABERS and Green Star. revising the existing CodeMark and WaterMark building product certification schemes. For more information and to view the 2017-18 Business Plan, visit the ABCB website. A reminder to relevant authorities that the 3rd quarter of the 2017 7% levy return under Schedules 6 and 7 of the Development Regulations 2008 is due within 10 business days following 1 October 2017. A response should be forwarded even if there is a Nil return. For returns requiring payment, contact Planning Services on 08 7109 7018. Please note credit card payments can only be made over the phone and cheques should be made payable to the Department of Planning, Transport and Infrastructure. Cowell Clarke Commercial Lawyers are hosting a free seminar examining current legal issues relating to the new planning laws and liability for the assessment of construction materials. The seminar will be held on Thursday 19 October 2017 in Adelaide. For more infomation and to register, email Cowell Clarke Lawyers. The Australian Institute of Building Surveyors are hosting a seminar on the operation requirements of the Fire services for providing water for fire fighting purposes. The seminar will be held on 25 October 2017 in Adelaide. For more information and to register, vist the AIBS website. Mr Ray Power passed away on 22 August 2017, aged 80. 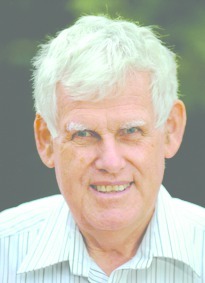 Ray was as a structural engineer at what was then known as the South Australian Public Buildings Department. 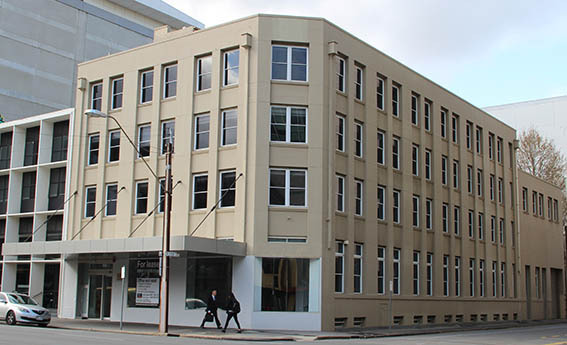 A major highlight of his career came in the early 1980's, project managing the conversion of the Moore's Department Store to the state law courts building - the Sir Samuel Way building. He was promoted to the Director of SACON (formerly the Department of Housing and Construction) in the late 1980s and held that role into the early 90's. He was responsible for the construction, maintenance and design of all government buildings during this time. Circa 1992 - 1993 he was the Manager of the Building Policy Branch where he played an integral role in the development and implmentation of the (now revoked) South Australian Housing Code. The Australian Bureau of Statistics has released the number of dwellings approved in South Australia for August 2017. 3.8% in South Australia in seasonally adjusted terms (nationally, new dwelling approvals rose 0.4%). The total number of dwelling approvals was 12% higher than a year ago. Nationally, the number of dwelling approvals was 6.5% lower than a year ago.